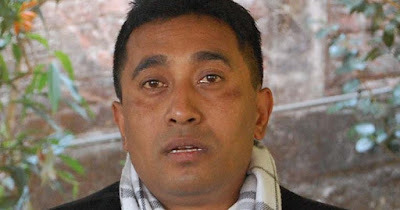 Kalimpong: The ABGL on Tuesday expelled its secretary Pratap Khati for allegedly conspiring against the party by unilaterally expelling the president, Bharati Tamang, and Laxman Pradhan. Tamang and Pradhan had been ousted for attending two bipartite meetings called by the Bengal government with hill parties contrary to a decision taken by the ABGL. In a media release on Tuesday, the ABGL said the decision to remove Khati had been taken at a meeting chaired by Tamang. "The ABGL president had kept quiet till now thinking this was a fight within the party, but Khati has hurt the party by acting on his own," the release said. The ABGL on Tuesday expelled its secretary Pratap Khati for allegedly conspiring against the party by unilaterally expelling the president, Bharati Tamang, and Laxman Pradhan.